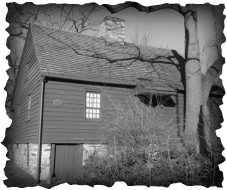 Connecticut Haunted History Tours - Fairfield County's Premiere Ghost Tour! TOURS ARE SUSPENDED UNTIL SEPTEMBER 2018. Please note that we are not taking tour request this summer. Tours will resume in September. If you have any questions, feel free to email at cthistorytours@gmail.com. Vouchers from Groupon or Living Social will be honored at that time, even if past their "expiration date." Thank you.
" Great experience! 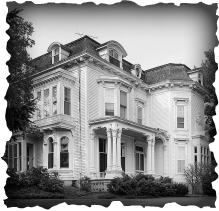 It was very interesting and Christine is very knowledgeable about the history and hauntings of CT." - KATHY L.
Click for more information on the Haunted Tour! 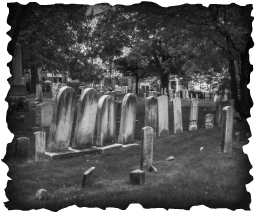 ​﻿The scariest stories﻿﻿ are the ones that are true, and that's what makes this tour the pre-eminent ghost tour in Connecticut. During this 2 hour ride around Fairfield County, you'll learn all about the most nefarious and infamous criminals and scoundrels the state has seen. Like what you hear? Signing up is easy! NOW AVAILABLE IN SOUTHPORT AND SOUTH NORWALK, CT!! 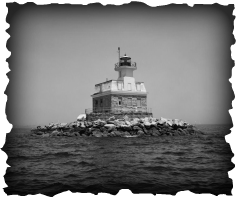 This 1.5 hr long tour takes you around the spooky history of the harbor from burning buildings to prohibition spooks! This historical area in Fairfield is ripe with revenge... Learn more on this 1.5 walking tour! This ghost tour takes you from naval battles to insane asylums. This ghost tour explores notorious murders, Revolutionary battle fields. Have more fun together! Sign up with a group of 6 total friends and get a group discount rate of 20% off!